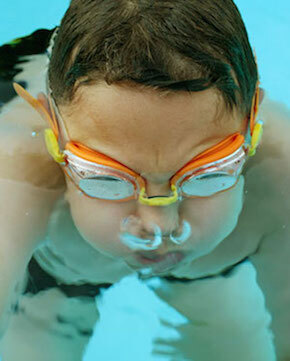 Your first step to learning how to breathe while swimming comes from the bobbing drill. Aim for this drill is to let you become comfortable inside water. Take a deep breath, hold it and submerge. Exhale slowly while coming up. Inhale when your mouth clears the surface. Bobbing prepares you for rhythmic breathing in deeper water; it's good for your confidence. The goal here is to learn bubbling and exhaling under water and get you comfortable at the bottom of the pool. Sometimes you might find yourself holding your breath underwater. While this does not stop you, it does tense you up and breaks your posture.